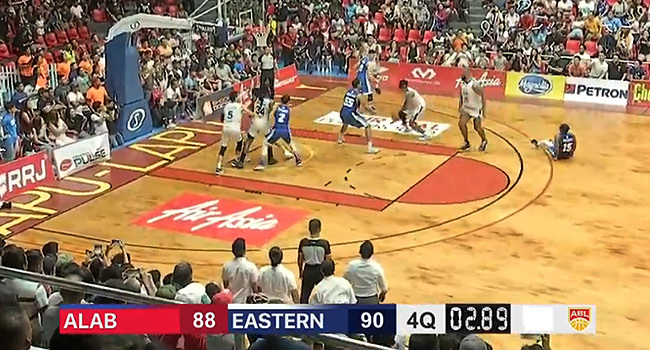 ABL Playoffs 2019: Seventh seed Hong Kong Eastern stuns #2 seed San Miguel Alab Pilipinas, 90-88 to take a 1-0 lead in their best-of-3 quarterfinals series on Friday night at the Hoops Dome in Lapu Lapu City, Cebu. HONG KONG EASTERN 90 - Bassett 29 (7ast, 4reb), Elliott 22 (8reb, 5ast), Holyfield 14 (16reb), Lau 9, Xu 8, Siu 5, Lee 3, Chan 0. 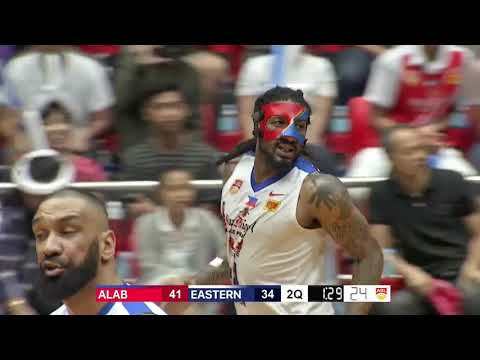 SAN MIGUEL ALAB PILIPINAS 88 - Balkman 30 (13reb, 7ast), Ramos 17 (7reb), Tiongson 13 (7reb), Parks Jr 10, Alvano 8 (5ast) , Rosser 7 (5reb), Javelona 3, Sumalinog 0, Urbiztondo 0.